I can not get enough of this bath bomb, I just love it so much. When I first tried it last year I saved it for my Christmas Eve bath as I thought it looked so elegant. Every since then I have saved this bath bomb to use on special occasions as firstly you can’t buy it all year round and secondly it’s just looks so fancy. 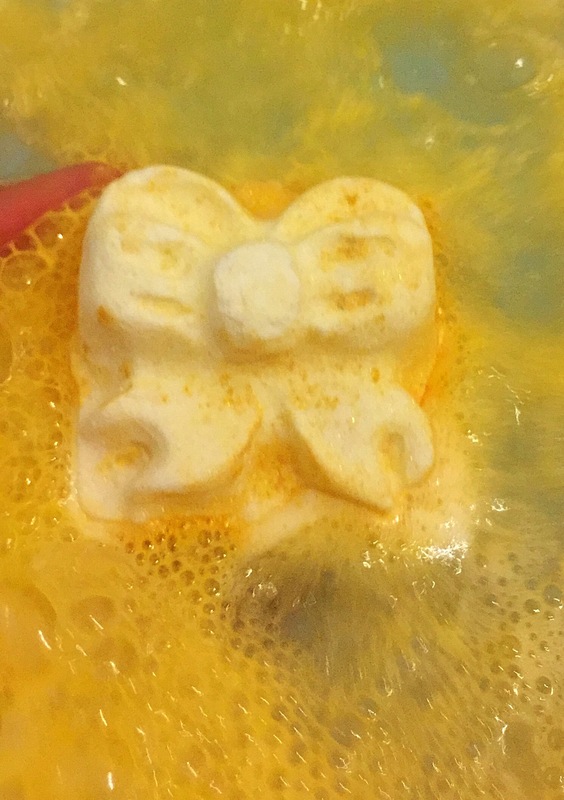 I was first drawn to the Golden Wonder bath bomb due to how it looks, you can help but notice it. I’m a little bit of a magpie when it come to anything sparkly, so seeing as it is covered in golden lustre I was drawn straight to it. The Golden Wonder bath bomb is an exstremly large in size product. Shaped like a little golden parcel complete with cute white bow, it is an amazingly luxurious and elegant bath bomb. The scent of the bath bath is just beautiful. It’s contains line oil and sweet orange oil which give a very zesty but sweet smell. I found the scent very refreshing and uplifting which will help to lift your spirits on those dark cold winters evenings. 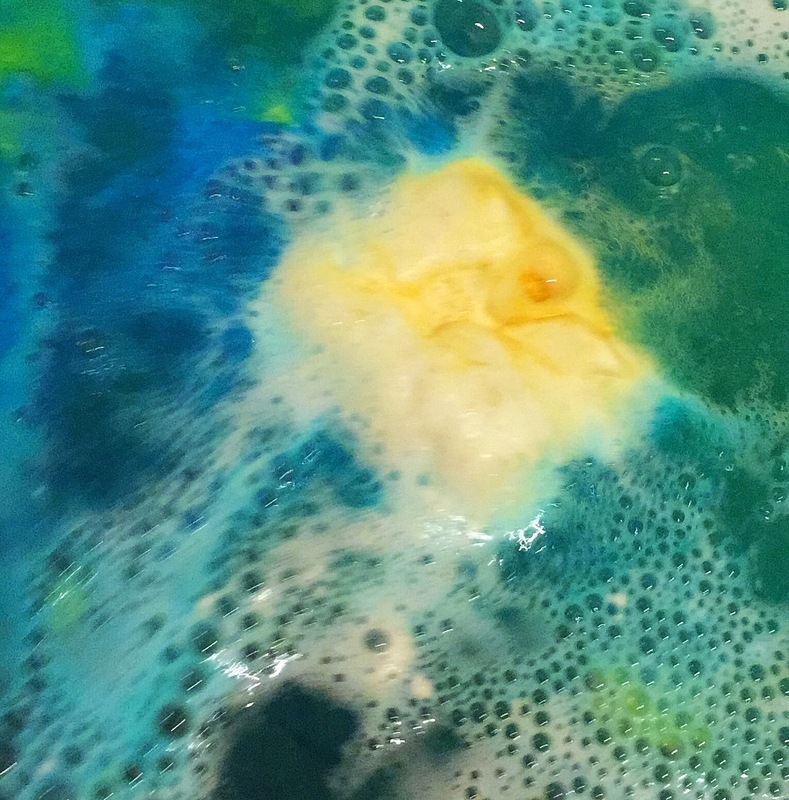 Once popped in the water the Golden Wonder bath bomb creates the most wonderful show! It takes ages for it to fully dissolve to make sure you save this one for a longer bath. 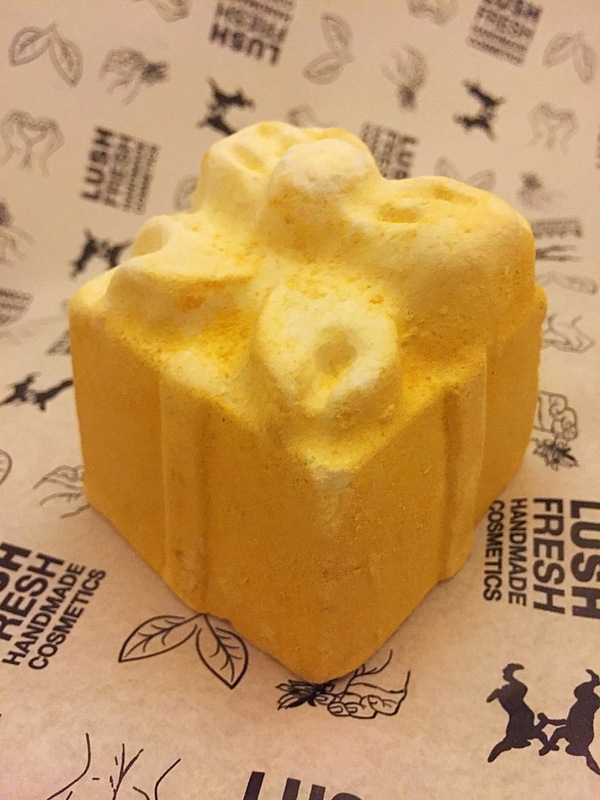 At first it creates waves of creamy golden foam, full of golden lustre to give the water an elegant and Christmassy sparkle. Once it hits it’s inner layer it created the most beautiful turquoise and pink swirls in the water. This in turn leaves the water a gorgeous deep blue. Once it’s reach its centre lots and lots of very cute little golden stars float across the top of the water finishing off it’s wonderful display in style. I found this bath bomb to be exstremly moisturing as the water turns a lovely silky texture which leave the skin not only smelling wonderful but feeling soft. 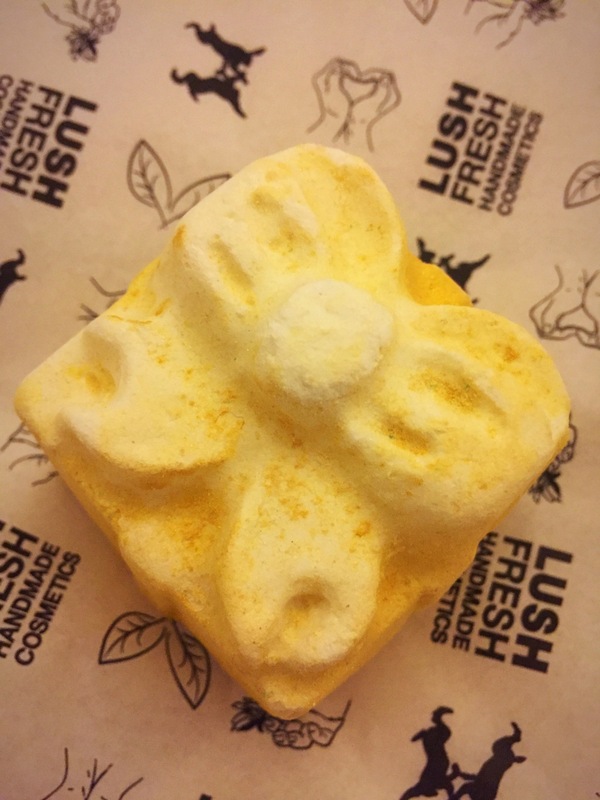 I just can’t get enough of this bath bomb, Christmas is a great time for a little indulgence and a bit of pampering and this is the most perfect product to use.